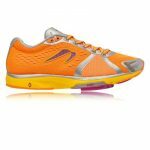 Stay fit and cruelty-free wearing vegan running and CrossFit shoes from our Amazon-curated collection. We've contacted all of the companies that make these women's athletic shoes to ensure they are all completely free of any animal-derived materials. What are “vegan” women’s athletic shoes? 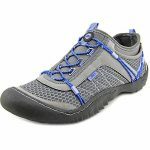 Vegan women's athletic shoes are running shoes, cross training shoes, walking shoes, cleats, trail runners, gym shoes, and other kinds of sports shoes that use materials (including dyes and adhesives) that are not derived from, or tested on animals, and are marketed towards women. 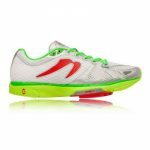 What materials are used to make vegan women’s athletic shoes? 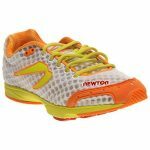 Please Note: Most companies don’t advertise that their glues and dyes are made from, or tested on animals, so to be sure your new shoes have no part in this, it’s best to buy running, training, walking, lifting and other sports shoes from companies that are 100% vegan, such as Newton and inov-8. Why buy athletic shoes that are vegan? Why harm something that you don’t have to? Training shoes, runners, trail running shoes, lifting shoes, cross training shoes and other types of athletic shoes made without the use of animal materials, byproducts and testing are just as good, and in many cases superior, to their non-vegan counterparts. Yes, it’s actually one of the best forms of animal activism, believe it or not, and here’s a simplified explanation of how it works: When you buy one pair of vegan athletic shoes, you’re effectively telling the store there’s demand for these shoes. They need to replenish the supply, so this ends up filtering down to the manufacturer and designers, who get the message that more vegan athletic shoes need to be produced to keep up with demand. Market demand will fuel supply. As a bonus, this also sends the opposite message to companies making leather and cruelty-derived athletic shoes; demand for them shrinks for every pair that sit on the shelf, the pairs you aren’t buying; the best way to stop companies from making shoes using animal-derived materials, is simply to stop buying them. 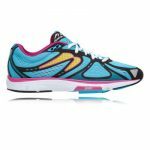 Are women’s vegan athletic shoes expensive? It really depends on the pair. 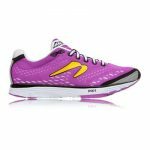 Women’s running shoes, trail shoes, walking shoes, cross trainers, gym shoes, etc., just like their non-vegan counterparts, are designed, produced and sold by different designers, brands and stores, and can be made from different combinations of materials. The prices of these shoes will vary accordingly. 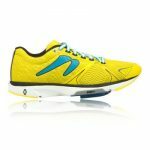 Should I get rid of non-vegan athletic/sport shoes that I already own? This is a controversial topic within the vegan community. In our opinion, it’s up to you to decide. If you can’t stand to look at leather or cruelty-derived shoes after you turn vegan (or even before you're vegan, for that matter), then give them away or sell them. Or, if you want to keep wearing them until they've outlived their usefulness, either because you can’t afford new ones, or for another reason, simply replace them with a vegan pair when the time comes. The worst thing you could do is just toss them in the trash, but ultimately it’s up to you to decide which path you take. 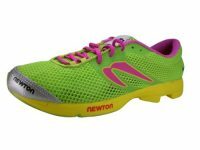 What companies make vegan athletic shoes for women? We keep a list of companies that we find by way of social media, word of mouth, by old-fashioned Google searches and by other methods, whose entire catalogue of women’s athletic shoes seems to be animal-friendly. We contact these companies to check that they don’t use any animal-derived materials or testing in the making of their shoes. If we’re convinced their items are suitable for vegans, and they’re listed on Amazon for your one-stop shopping convenience, then we display them here. We think it’s great that more and more non-vegan companies are adding cruelty-free athletic shoes and other items to their catalogue of products, whatever the reasoning behind it might be. If we contact these companies to check on the “veganism” of their athletic shoes and we can’t get complete, consistent and straight answers to our questions, we won’t list their products. However, if multiple company representatives assure us that certain products are vegan, and they provide us with clear and consistent answers (and they’re listed on Amazon), then we’ll list those products. If you or your employer makes vegan running shoes, cross trainers, cleats, or any vegan product for that matter, we’d love to feature those products on our site... for free! Contact us at - info(at)getitvegan(dot)com - to find out more!